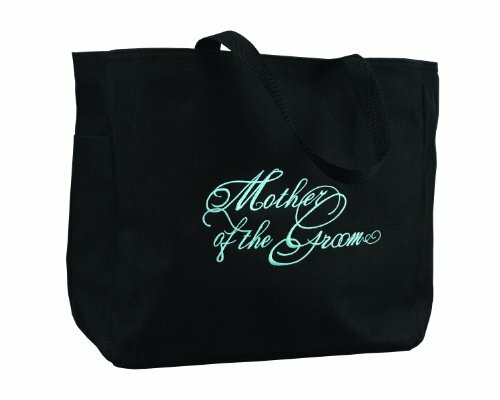 Black tote bag embroidered with the words Mother of the Groom makes a great gift- a special memory of a special day. Aqua embroidery with silver diamond; bag is 12 by 6.5 by 14-inch and has convenient inner pockets. Made of easy care 100% Polyester. Invite HBH to your big day. If you have any questions about this product by Hortense B. Hewitt, contact us by completing and submitting the form below. If you are looking for a specif part number, please include it with your message.